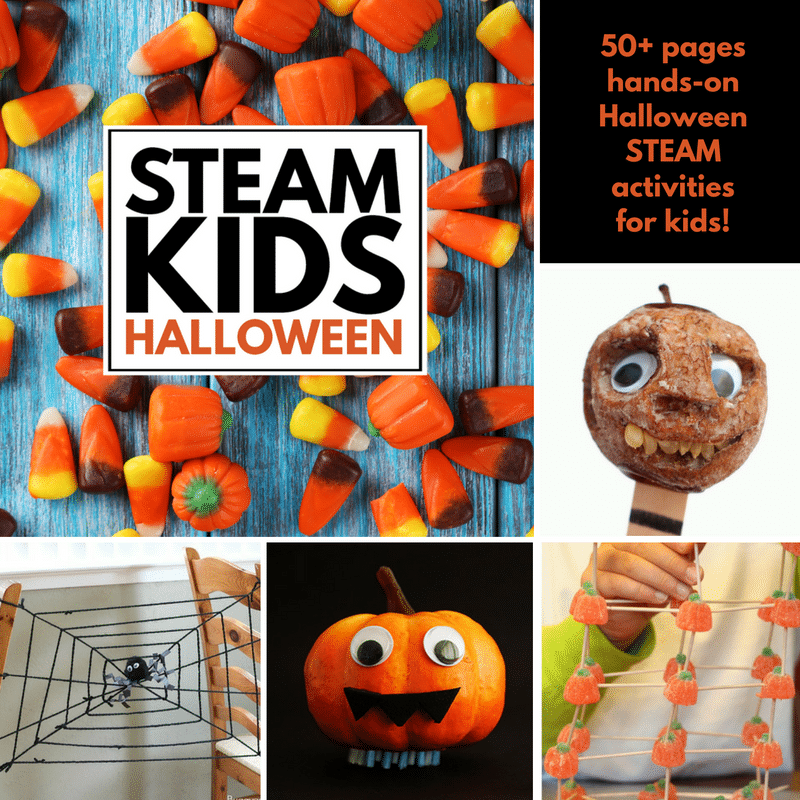 Halloween experiments are the perfect way to introduce science to kids. 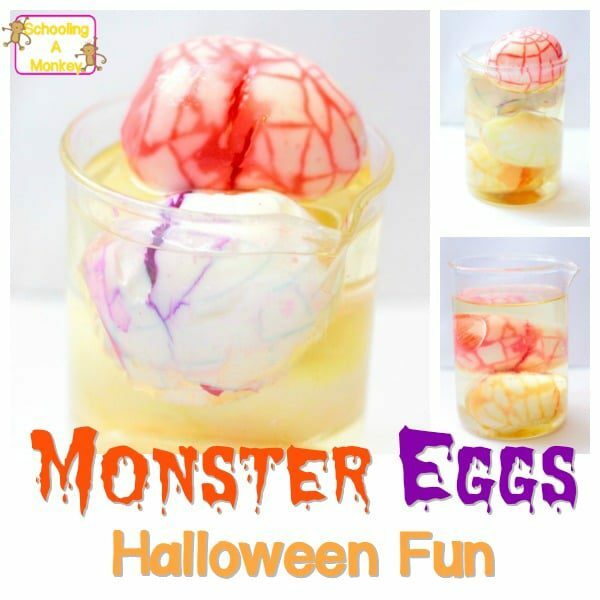 Make these pickled monster eggs and delight your kids with STEM activities! 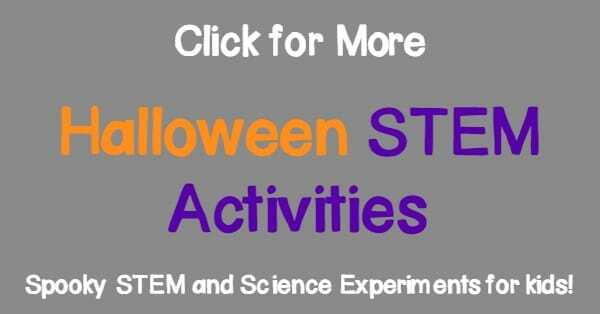 We are big fans of STEM activities, and this year, we’ve completed an entire series of Halloween Science Experiments and STEM Activities with our kiddos. 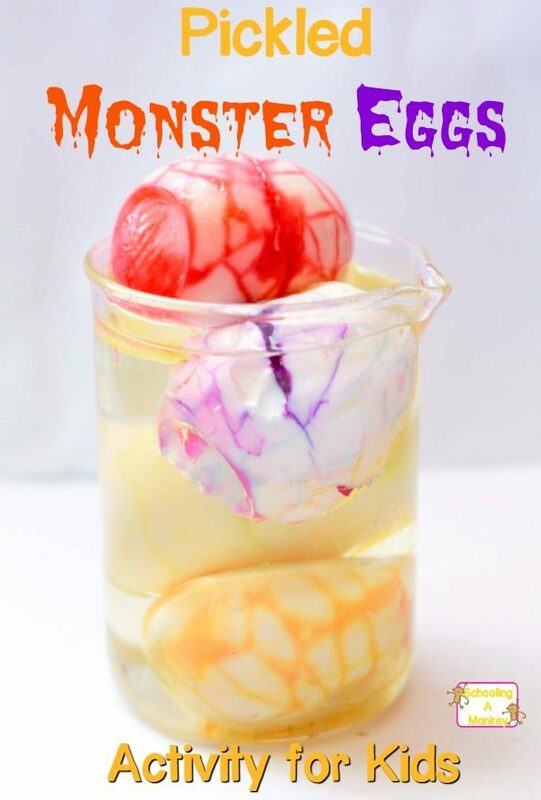 The pickled monster eggs are just one of the many activities we’ve tried, but also one of the simplest. In particular, 3 year old Bo thought these eggs were amazing. She loved how different the eggs looked once they took their bath in colored water. I think these would not only make a fun Halloween-themed snack for kids, but could also work well as a spooky decoration for any Halloween party. This activity mixes the science of cooking with color science. Allow kids to explore every step of the process and add their own variations to make it a true STEM activity. First, hardboil the eggs. We always boil ours for about 10 minutes. While the eggs are cooking, make four containers with different colors. We did red, purple, green, and yellow. Drop about 10 drops of food coloring into about 1/2 a cup of water, or just enough to cover each egg. Smash the eggs a bit to break the shell. This will make the monster pattern on the eggs. Soak the eggs in the colored water for about 20 minutes. Remove the eggs and rinse any extra colored water off. Gently peel the shell off the eggs to reveal the new monster eggs underneath. Place the eggs in your science beaker and cover with vegetable oil. Ta-da! You now have pickled monster eggs. Experiment with different patterns and color saturation and see what amazing creations you come up with!